Charla Lauriston is a Los Angeles-based stand-up comedian and television writer. Hailing from New York by way of Boston by way of Haiti, Charla has written for Unbreakable Kimmy Schmidt, Comedy Central’s Why? W/ Hannibal Buress, TBS’ People of Earth, and FOX’s Ghosted. 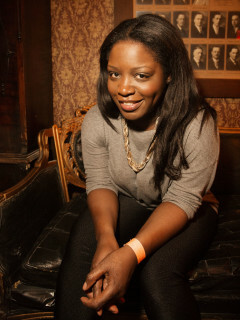 She was listed as one of 8 Black Women Ready for SNL by Essence Magazine and has appeared on The Meltdown with Jonah and Kumail on Comedy Central.